The online system made everything so easy, and we loved the idea that our guests and pick songs online. He also explained the ceilidh dances very well. Graeme helped my wife and I out at our wedding in 2012, he suggested playing our favourite songs during the meal rather than on the dance floor (which he still did ) which was a great idea so we could hear them during the serving of the food and drink. He also suggested with lots of experience of weddings that if our guests called out our names when we were posing like cutting the cake we would look at that particular guest so they’d great a great photo on their phone. Nice. He ran everything so smoothly and quietly and he rather enjoyed himself in the raised Plinth at The Hub venue in Edinburgh and reminded me of Kenny Everett with the huge hands he used to preach in his comedy programme!! He also had his camera on hand for some extra pictures of the day he shared with us from his perspective which was an added bonus. Graeme’s entertainment the evening of mine and my husband’s wedding was absolutely fantastic. He merged songs together for our first dance, he encouraged loads of people to get up and ceilidh, and he played some cracking songs through the night. Couldn’t recommend him enough! Graeme provided an absolutely faultless service on our Wedding day at the Braid Hills Hotel in 2015. We met with Graeme and his wife, Lisa who done our photographs on several occasions in the run up to our Wedding and felt completely at ease with Graeme in control of the music and both Graeme and Lisa taking beautiful photographs. People are still commenting on how it was the best party they’ve been to! We had ushers who had never worn kilts before and Graeme even went to the hassle of making sure they were dressed properly. Highly recommend. Graeme, you’re a wonderful Dj pal. You will go onto and achieve some amazing things in entertainment and it’s a pleasure working with you fella. Fantastic DJ at my daughter’s wedding at The Norton House Hotel. Met with us all before hand, asked for songs we wanted played and did on the spot requests. Also great playing music for Scottish dances and calling out instructions to the newbies, great fun! Snap him up, you won’t regret it. Thank you very much for a fantastic party at our wedding! Your music choices were first class and our dance floor was full all night! Thank you for your suggestion regarding my ‘last dance’ with dad then ‘first dance’ with each other. This was something really different but very special! Thank you once again for the best wedding party ever!!! We just wanted to thank you for a amazing night we all had a great time. Thank you so much for all your work for the ceilidh. You made things go with a huge swing and everyone we have spoken to thought you did a great job. You were obviously in your element! And thank you too, Lisa, for the photography. You have a lovely manner with people. Rhiannon, Bill and I want to say a Huge thank you to yourself and the band for leading the evening so expertly and keeping everyone fully entertained, up and dancing! We have had many thank you letters which particularly mention ceilidh dancing being so enjoyable and that is due to your skill and rapport with the younger generation. Thank you so much again and we look forward to meeting up with you and your family. Graeme is an amazing DJ, top quality equipment and lighting, top quality service and above all knows how to keep the dancefloor full all evening! Don’t hesitate to book Graeme, he is one of Scotlands top DJ’s, extremely professional and reliable and will go over and above to make your night stand out!! Thanks so much for providing the evening entertainment at our wedding. Everyone who attending thoroughly enjoyed the music you played and especially enjoyed the traditional dances you surprised us with! Again thanks for your professionalism and we hope to use your services again at some point. Aww thank you for coming to do the music! It was a brilliant night, Dougie emailed me yesterday and i was saying to him how the music is one of the most important things to get right at a party and you done just that! Everyones said they loved how it was a proper different mix of music from old to new which is what we wanted 😃😃. Thanks again, it was brilliant! Just wanted to send you an email to say thanks to your DJ Graeme for helping us have a fantastic wedding reception a couple of weeks ago. He was great fun, very professional and everyone had a ball! Just a quick question, would it be possible to get a list of the tracks that Graeme played. His selections were great and we’d love to have a track listing, if possible? If not, it’s no problem and thanks again to Graeme, he was a credit to your company. We’ll definitely keep you in mind for any future events. Just wanted to say a big thank you for making our day so special. I really appreciate you playing all our songs we wanted and the ceilidh was also great. I will definitely recommend you to anyone that wants a DJ or ceilidh. Sorry that this email is late- we have not long been back from honeymoon. We just wanted to say a huge thank you to you and the ceilidh band. You did such an excellent job on the day and had everyone up dancing. You were fantastic with helping out the little ones and telling people who didn’t know the dances what to do. The disco was also great fun with a very full dance floor! We have had many comments saying how much everyone enjoyed the entertainment. You really made our evening so thanks again. I will certainly be recommending you to others in the future! We would like to thank Graeme very much for an amazing night at our wedding reception. The music was amazing and so wide ranging that everyone loved it! Graeme was so helpful and friendly and made organising the reception really easy. Our guests loved the music and commented frequently to Steven and me. 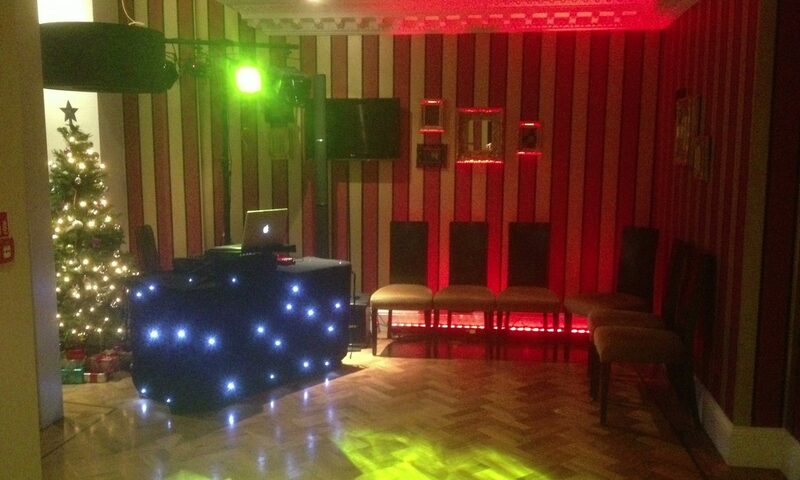 Thank you again Graeme, I know that we will be contacting you again for future parties. Can you please pass on a huge thank you to Graeme and the ceilidh band for making David’s 50th party go with a swing on Saturday night at the Waterloo Apex. I am so sorry this is so late, but we got our Wedding Video back at the weekend and it totally reminded me that we never sent a wee note to say thanks for playing some truly fantastic music at our Wedding at Winton!! You were all amazing and everyone looked to be having a fab time on our video! So, thanks so much again and we will definitely be recommending you both to anyone needing a band or DJ. Thanks so much again and apologies again for this being so late!! Its Elaine and Allan from the Braids wedding on Saturday night. Sorry we missed you at the end of the night but we would like to say a massive thank you for a brilliant night and you are at the top of our list to recommend to friends and family:) Everyone commented on how good the music was throughout the night. We just wanted to write you an email to thank you for doing such a great job on the music at our wedding last November at the Roxburghe. Many people said how well done they thought the music was, and how good the calling was for the Ceilidh. We’ve attached a couple of the Ceilidh photos for you to see – people really seemed to have a great time. Thank you again. Many thanks for your good wishes – we had a wonderful day last Saturday! Graeme provided an excellent mix of music and was extremely tolerant of the karaoke – as we had suspected, there were lots of volunteers! I just want to say a huge thank you for playing at our wedding on 11th November at the Queensferry hotel. The ceilidh (Pentlands Ceilidh Band) and disco were both absolutely fantastic! Everyone commented afterwards how great they thought you guys were. I know the dance floor wasn’t always full but this was because everyone was too busy catching up with people they hadn’t seen for years – it definitely wasn’t because they weren’t enjoying the music! I still pop on to the Scottish wedding directory forum and won’t hesitate to recommend you if anyone is ever looking for a ceilidh/disco band! Just a quick thank you to Colin and the rest of the Pentlands Ceilidh Band for playing at our wedding on 30th December 2010 at Beamish Hall. The ceilidh was fantastic and such a hit with our guests. It allowed everyone to get involved and your instruction allowed those that had never been to a ceilidh before to get involved! We loved finishing with the big ‘Strip the Willow’ allowing us to have a quick dance with all of our guests! Also thank you for providing the disco for our reception. Thanks for helping to make our reception so special and enjoyable. I just wanted to send a quick email to thank you for playing at our wedding on the 10th September. You were all absolutely fantastic and really made our night! People have been raving about it ever since! No hesitation at all in recommending you in the future. I just thought I’d let you know that Bob was brilliant at our wedding, he did a great job and the only time there wasn’t anyone on the dance floor was when some of Grant’s mates went for a skinny dip in the Forth – yes they are mental! Thanks again and I will definitely recommend you both to friends! This is a quick email to say thank you so much for the wonderful job you did on Friday evening at the wedding. Everyone had a wonderful time and everyone commented on you. I think you may even get a couple of bookings from it! Got married on 25.9.10 and used Graeme Barrie Wedding Entertainment for my wedding and am really pleased. I couldn’t afford a ceilidh band so decided to go for this – I was a bit worried how it would turn out but my English guests were great and were up on the floor – Bob Webster who did the DJing was good and mixed up the scottish dances with the disco so people didn’t get exhausted. They also did not have a blaring disco which was really important to my mum – there’s nothing worse when you are shouting at people as you can’t hear them. Graeme also popped in at one point and got everyone up dancing to strip the willow. So please give them a call as they were faultless. Just to say many, many thanks to Bob for doing a GREAT job last night. It was brilliant and exactly what we wanted. Really appreciate all you did in organising it and thanks again. I just wanted to let you know Graeme was fantastic on Saturday. I have spoken to him directly but wanted to let you know too. He really couldn’t have been more helpful and understanding. Please pass on my thanks to Graeme the DJ we had for our Hogmanay party. He was fantastic and all our passengers had a fantastic time. The night honestly was superb and couldn’t have gone better in any way possible. The floor was constantly full and the DJ created such a fantastic atmosphere, the place was just jumping the whole night, right from the word go. Obviously this was a HUGE contribution to making our Wedding Day as special as it should be and we can’t thank you enough for this. Please, please, please pass on our gratitude and thanks for helping make our big day so perfect. A huge thank you to Graeme, the caller/DJ, who totally made the evening of our wedding such a fabulous party. I can’t continue to recommend enough, the way he interacted with everyone… and got us all to do the steps and joking with us. If I had known how great it would be I wouldn’t have worried for a second whether the ceilidh idea would work with a load of complete beginners. Everyone said they had a great time. I had to write and say a massive thank you to Graeme who was our DJ for our wedding at Orocco Pier on 5th June. He was absolutely fantastic. The music was brilliant and he took all requests and played everything he could. What a fantastic guy. He really made our night and his chat was great. This is a LONG overdue email to say a huge thank you for playing such an important part in our big day. We had the best day ever and the party in the evening was the icing on the cake – you were just brilliant! Think you even did a good job of keeping our first dance secret… I won’t hesitate to recommend you to all and sundry whenever asked and if you need any glowing references or anything just let me know (thats if my opinion is worth anything!). I’m really sorry I didn’t get a chance to say thanks and goodbye on the night – I got swept away! Just wanted to say a HUGE thank you for the FANTASTIC evening you gave everybody at our wedding. EVERYONE has told us what a great night it was and how good the band were and especially how good YOU were (They all liked the way you gently persuaded folk to get up and dance, without FORCING them… you obviously got the balance just right,so thank you!). We are SO glad you all made it to Aberdeen on time and hope you did not get caught by any speed traps!! Thank you Graeme for recommending Bob to do my party. He was very good and a nice chap. He was tolerant with the attending children and accommodating with me. And has impeccable musical taste. I must say it was spooky meeting someone who was born on the same day and year as I was albeit at a different part of the country.